Damon braces are an advanced orthodontic system that uses a strong but gentle pressure to straighten your teeth over a period of time. This system will straighten both the crowns (visible parts) and the roots (hidden part) of the teeth. One of the main benefits associated with this system is the fact that it creates space when straightening, giving the patient a broader smile, meaning extractions may not always be needed. Traditional braces would often require a healthy tooth to be extracted so there is enough room for the teeth to move into. This could often lead to uncomfortable treatments which end up leaving the patient with a flat profile (definition between jawline and upper lip). The damon system has been carefully designed to use light biological forces to gently correct your teeth, giving you a natural straight smile, with a nice full profile (giving you youthful looks). What Is Available With The Damon System? The damon system you decide to go ahead with can either be damon metal or damon clear. Both systems can be used to give you that natural beautiful broad smile you are after. The main difference is damon clear has been developed to be a more discrete way to straighten your teeth with the damon system. Why Would You Want Damon? We offer an extensive range of braces to suit many different needs. 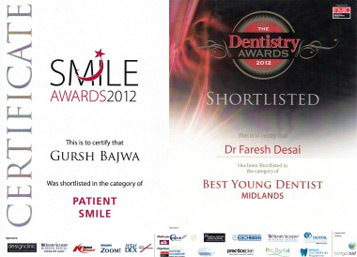 Please do not hesitate to call us and arrange your free consultation today. What Are The Main Benefits Associated With Damon? What’s Involved With Getting Damon Braces? We will see you first for a free consultation where we will examine and assess your teeth, to ensure you are suitable for damon braces. 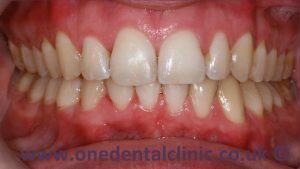 When you decide to go ahead with the damon system, impressions of your teeth will be taken and x-rays and clinical photographs will also be taken. The follow up appointment will then be bond on the damon brace to your teeth. An adjustment appointment will be required every 4-6 weeks. 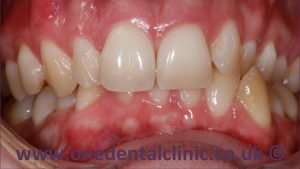 How long you will be in treatment will depend on how severe your teeth are – and the treating dentist will be able to give you a good idea how long this will be at the free consultation. After your teeth have been straightened and the brace has been debonded, a retainer will be provided (included in price of brace treatment) to help retain your teeth in their new straight position. We offer both bonded and removable retainers. If you are looking at an effective way to straighten your teeth, call us and book your free consultation today.